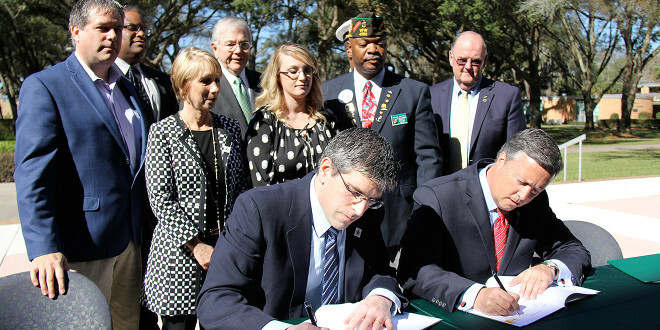 Pictured above, representatives of JU and the Children of the Fallen Patriots Foundation sign the foundation’s first scholarship agreement at a press conference on Friday, February 28, 2014. 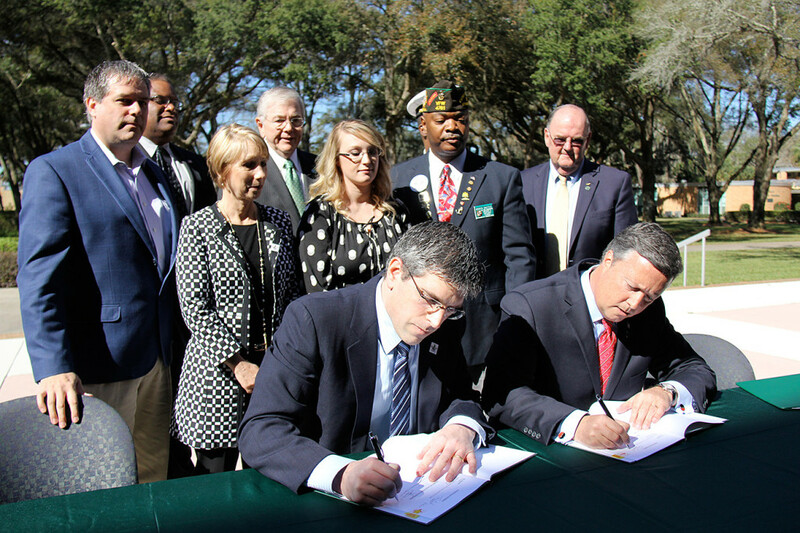 As part of the agreement, JU will offer 40 percent scholarships to qualified applicants that will complement assistance given by the Fallen Patriots Foundation. At a signing ceremony held in April, Kenzi Merck, a former scholarship recipient and Children of Fallen Patriots Foundation Program Administrator received a standing ovation after describing how being an award recipient shaped her future. Merck lost her father in the line of duty in Iraq in 2005. “Dad left behind three kids and a wife, and there was a financial burden on the family,” she said. Children of Fallen Patriots Foundation Executive Director John Coogan said the foundation, created in 2002 and now based in Jacksonville Beach, has awarded more than $6.5 million in scholarships to more than 400 surviving children. The not-for-profit has already identified 5,000 of the estimated 15,000 children who have lost a parent in the line of duty over the last 25 years. For more about the Children of Fallen Patriots Foundation, visit www.fallenpatriots.org, email or call 1-866-917-6973.